Some have found that large units in the header tend to convert the best for AdSense. The reason is the placement is good so they get the most exposure and larger units tend to have more advertisers bidding on them so there is more competition for ads. More competition drives the price of the ad up and it earns you more per click. So if you want to add AdSense to your header, it's best to find WordPress themes that have a header widget. 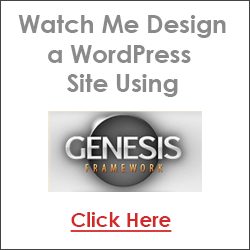 Want to learn how to create your website with WordPress? Click here for details. 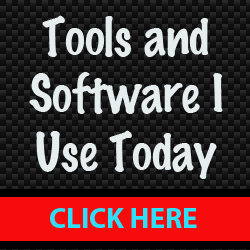 That way you don't have to use a plugin or tweak the PHP code to add your ads. You can just go to Appearance >> Widgets in your WordPress dashboard and drag a Text widgets into the Header Widget area as shown below. 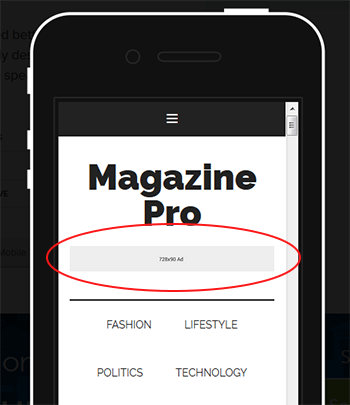 For example, the Magazine Pro theme by StudioPress has a header widget and it can fit the large 728x90 leaderboard ad. I use this theme on Napturally Curly and it has more than doubled my AdSense earnings for that particular site. Not all WordPress themes make it this easy. In fact, I've heard stories of people breaking their themes trying to add AdSense to the header area because they couldn't figure out how to edit the code. The good news about this theme is that it's mobile responsive so when someone views it on a phone, the banner drops down below the logo. You can use the AdSense responsive units so the ad will automatically re-size to fit the screen. Notice how the banner is now showing below the title and the menu is on two lines so it's easier to read on the smaller device. A lot of the StudioPress themes have header widgets and it's my favorite family of themes right now because they are clean, professional and have great support. So if you've decided you want to add AdSense to your header to maximize your earnings, make sure you shop for themes that have header widgets. After having a discussion with my own AdSense Optimization specialist, I learned that the larger square units (300x250 and 336x280) perform the best. Not as many advertisers use the 250x250 unit anymore so there is less inventory for these sizes. Again, larger units attract more advertisers so the bid price of the ad increases. So when choosing a theme, try to find one that will accomodate those sizes if you can. Even though it's great to make money with AdSense, you also have to consider your site's ultimate goal and that is hopefully to provide a good user experience for your visitor so they will return. Just because you can add up to 3 units on a page doesn't mean you should. In fact, Google's search algorithm has been known to penalize sites with too many ads above the fold -- especially if the site has minimal content. I tend to use only one or two units per page and rarely use three. I also spread them out on the page. I think it looks a lot more professional and doesn't take away from my content. Find a balance between ads and content. You don't want to overwhelm or turn your visitor off with too many ads. In fact, you should always have more content than you do advertising. Always check the AdSense Best Practices page to ensure you are using AdSense responsibly. You'll notice that their first tip is about considering the user experience. They want to make it clear that your visitor should come first and ads second. People visit websites because they want information about what they were searching for. They don't want to be bombarded with ads. Your AdSense ads should compliment your pages and not dominate them. 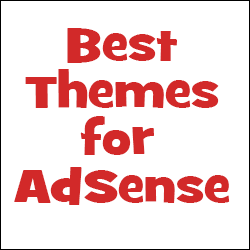 There are some AdSense themes on the market you can buy that are specifically to help you place AdSense ads and optimize your earnings. I personally have not used any of them so there are none that I can recommend. Many of the "AdSense Ready" themes can cause you to be too focused on placing too many ads on your pages, and as I said, Google has been known to penalize sites (lower their rank) if there are too many ads and very little content. In my opinion, it's best to find a theme that has a header widget (if you want to place an ad in the header) and/or has wider sidebar columns should you want to take advantage of the larger square units. Spread your units out and don't feel that you have to use three units on every page. You may earn more that way, but you could harm your rankings and your visitor's experience.